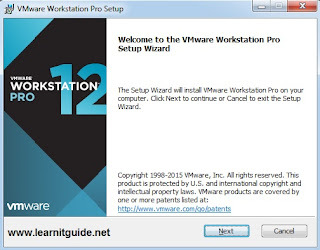 VMware Workstation is virtualization software available for desktop and laptop computers. 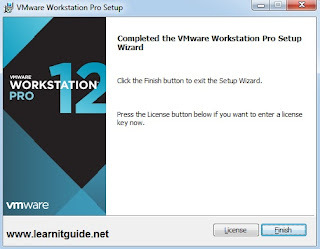 VMware Workstation is a program that allows you to run a virtual computer within our desktop and laptops. The virtual computer runs as if it was its own machine. If you don’t meet these, you may not be able to run VMware effectively. You must have a 64-bit processor. 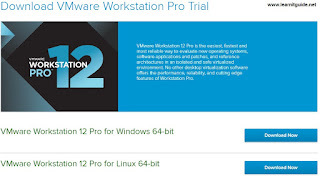 VMware supports Windows and Linux operating systems. You must have enough memory to run your operating system, the virtual operating system, and any programs inside that operating system. 1 GB is the minimum, but 3 or more is recommended. You must have a 16-bit or 32-bit display adapter. 3D effects will most likely not work well inside the virtual operating system, so gaming is not always efficient. You need at least 1.5 GB of free space to install VMware Workstation, along with at least 1 GB per operating system that you install. 2. 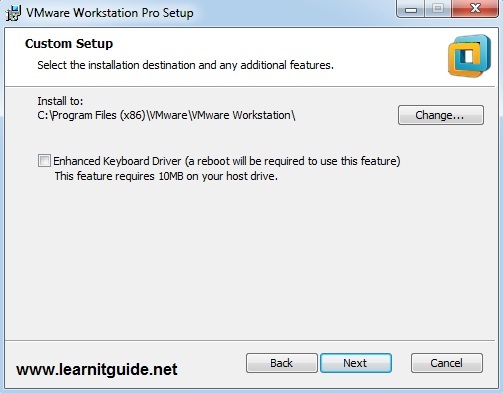 Select the appropriate "Download Now" as shown in the below image, here we download the software for windows. 3. Click save file to keep the software on your local disk. 4. 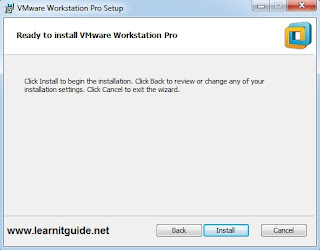 Click "Next" to start the installation. 5. Put the tick mark on tick box to accept the terms and policy. 6. 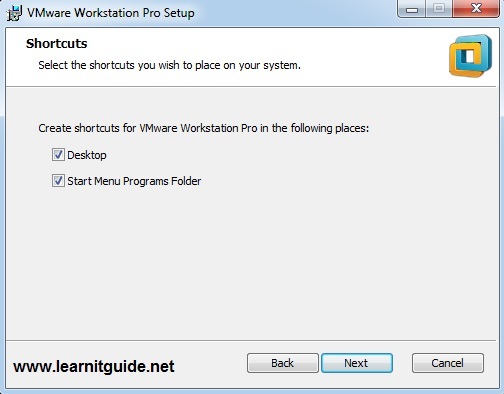 Click Next to go with default folder. 7. 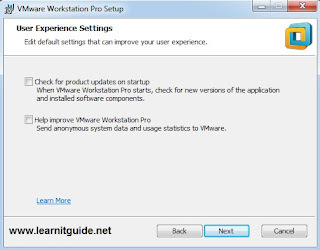 Click next, if you need choose the options for product updates and to improve vmware. 8. Click Next with the appropriate options. 9. Click install to start the installation. 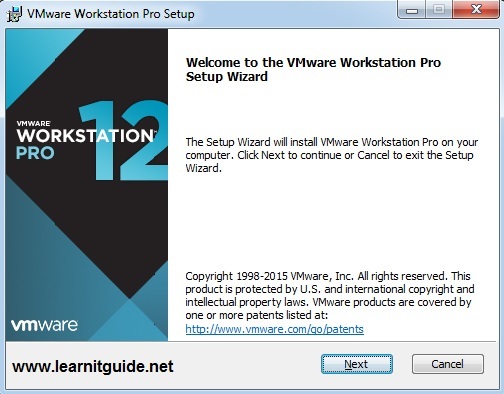 10.Installation is done. Click finish. This is evaluation software, so we can use it for 30days. 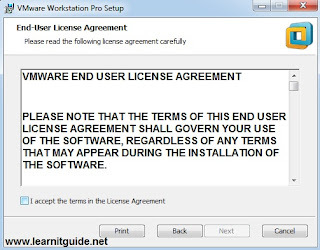 Note: If you have valid license purchased from Vmware, click license and enter the details. Share and Leave your comments if any.